CATCH OF THE DAY: There's more than one Irving where the Headless Horseman is concerned. 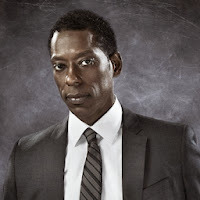 Captain Frank Irving, portrayed by Orlando Jones on FOX's new series Sleepy Hollow, is actually named after the author of the short story that the show is based on! CATCH OF THE DAY: There's more than one Irving where the Headless Horseman is concerned. 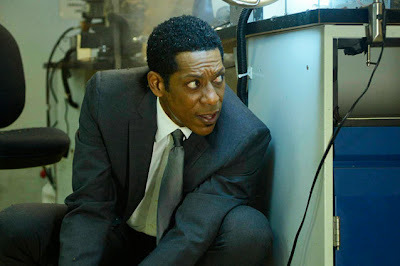 Captain Frank Irving, portrayed by Orlando Jones on FOX's new series Sleepy Hollow, is actually named after Washington Irving, the author of the original short story, "The Legend of Sleepy Hollow," which the show is based on. 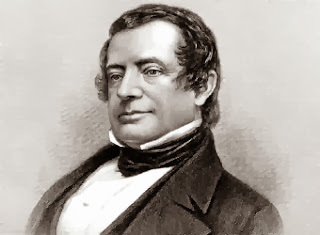 Washington Irving was an American writer born in 1783 in New York City. He is considered to be one of America's first internationally best-selling authors. Aside from "The Legend of Sleepy Hollow," Irving (the original 18th century one, not the fictional Orlando Jones one) also penned the short story "Rip Van Winkle" and a five-volume biography of George Washington, both of which have prominent ties to the plot of the new television series Sleepy Hollow. We can't think of anyone better to be our favorite Captain's namesake.